Little ladies will look so stylish in these adorable patent leather boots from Pepino in pretty pink. 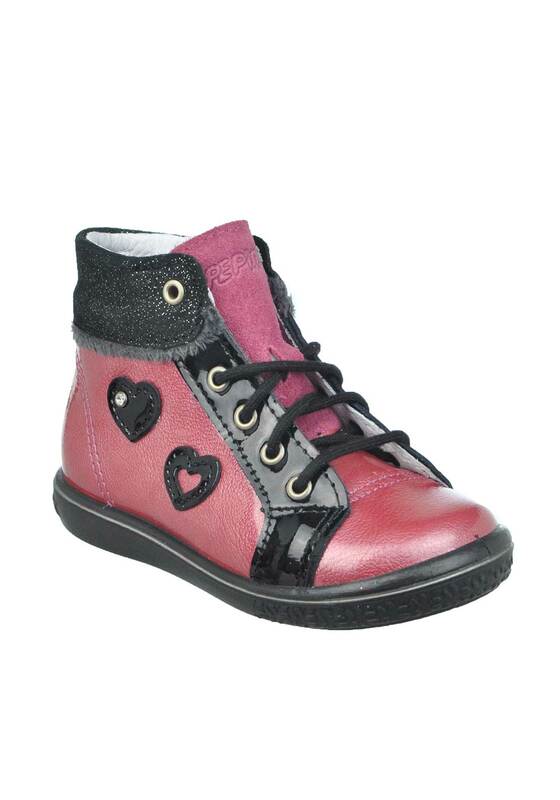 This cute pair have contrasting black detailing, heart print on the side, glitter cuff and laces and a side zip close. A comfortable and trendy pair for tiny steps. Material: Upper- Leather. Lining and Sock- Leather. Sole- Other Materials.